At North Pole Dental Workshop in Alaska, Dr. Bauer and his staff want to help their patients maintain healthy teeth. While visiting the dentist regularly is important for good oral health, your home behaviors also play a critical role in sustaining the wellness of your teeth and gums. Determine The Root Cause: People grind their teeth for many different reasons, including stress, sleeplessness, and anxiety. Most often, however, teeth grinding occurs involuntarily during sleep and can be the result of an improper bite or another condition, such as sleep apnea. Some teeth grinders are unaware of the habit, but symptoms such as a sore jaw or a headache can be signs of teeth grinding. If you think you are grinding your teeth, assess your lifestyle habits as well as your dental health to determine what could be causing the issue. A ddress These Behaviors: As previously mentioned, sleep apnea and other sleep disorders could result in teeth grinding. If that’s the case, seeking medical attention to address the sleep issue should also combat teeth grinding. Additionally, you may want to avoid caffeinated drinks as well as alcohol, as these may intensify teeth grinding. Seek Treatment From Your Dentist: Ultimately, the best way to stop teeth grinding is to prevent it from happening altogether. The team at North Pole Dental Workshop can give you equipment such as special mouth guards to prevent grinding, and they also offer dental services to address and treat any oral issues that may be contributing to the problem. Dr. Bauer is both a cosmetic and general dentist, and together with his gentle, caring staff, he will provide solutions to any oral health concerns you may have. 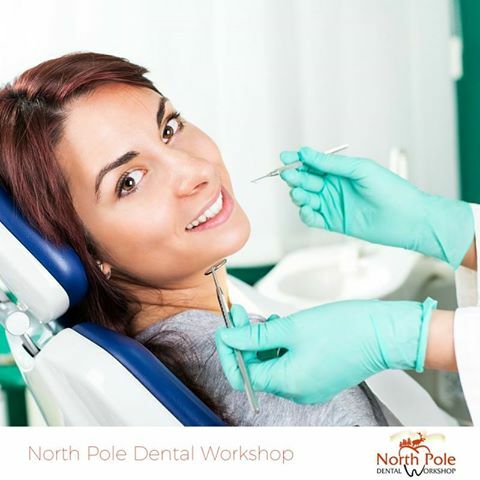 To schedule an appointment with North Pole Dental Workshop, call (907) 490-4650 or visit their website.